There are so many amazing paleo cookbooks coming out right now! What a great time to be a part of the movement :-) I remember when I first started, there weren't many books and almost no cookbooks, so I was on my own! So count your lucky stars that there are so many amazing options on the market today. And speaking of amazing paleo cookbooks, I just received an advance copy of The Frugal Paleo Cookbook, written by my good friend Ciarra over at Popular Paleo and let me tell you -- this is a paleo cookbook you do not want to miss. Frugal Paleo isn't just about saving money on your foods or simply buying the cheapest ingredients possible. No, the philosophy behind it goes much deeper than that. It's about optimizing your effort in the kitchen and maximizing the returns on your time. It's about learning smart strategies to minimize waste (that's wasted food AND wasted time). It's about creating amazing, delicious meals that don't require exotic or expensive ingredients or hours slaving away in the kitchen. The best thing about Ciarra's recipes is that they are all so approachable. As you read through them, you will say to yourself with confidence "yeah, I can make that!" It's great to get exposed to new cooking techniques and ingredients, but sometimes you just need recipes that you know you can cook and that will turn out well. One of her secrets is the expert use of seasonings. Proper use of herbs and spices can make or break a dish, and Ciarra knows how to use just the right amount to really make the flavors pop without being overpowering. She's also got a chapter devoted to 5-ingredient-or-less seasoning blends that are all salt-free (because saltiness is a very personal choice and the type of salt used will vary depending on what you are seasoning). There are 15 blends in there that use mostly everyday seasonings. Everything from Ranch to Fajita to Jerk to French Countryside blends! In addition to being flavorful and interesting, Ciarra's recipes are also inspired by the cuisines of the world. She comes from a Chinese-Italian family (what an interesting combo!) and she takes her inspiration from all over. I've found it very helpful to vary my diet by trying recipes from other countries, but often for me that means finding traditional recipes and then adapting them to be paleo. Ciarra has already done that work for you with the international recipes in this book! Another thing that I love about Ciarra is that she focuses so much on the foods that should be the staples of your diet: the meats, fats, and veggies. If you are looking for paleo replacement foods, look elsewhere. Frugal Paleo has recipes for the foods that you need to eat every day, not the treats. This cookbook sets the stage for sustainable, long-term healthy paleo cooking that isn't dominated by breads, baked goods, and desserts. 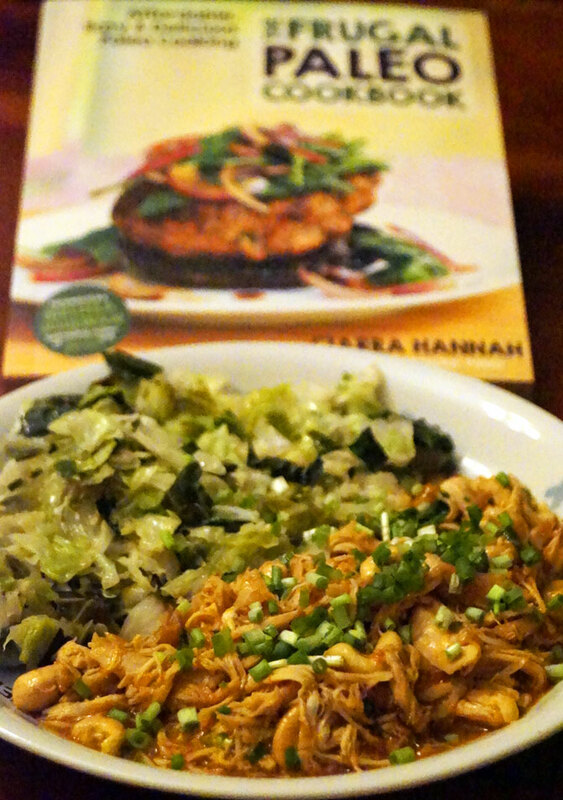 The first recipe that I cooked out of the book was the Orange Cashew Chicken. I actually made it using some leftover shredded chicken that needed to be eaten (which Ciarra applauded as being right in line with her frugal philosophy!) I was amazed at how flavorful the sauce is with only 4 main ingredients.. I paired the chicken with a dish I should share my recipe for: cabbage cooked in coconut oil with garlic and fish sauce. It tasted like good Chinese takeout and was a great change from my recent routine in the kitchen. The second recipe that I tried was the BBQ baked pork chops. I bought a whole hog from my neighbor a few weeks ago and I don't even know how many freaking pork chops I have in my freezer. I have my simple go-to method for cooking them, but honestly I was really excited to see a new way that I could start cooking them so I don't get bored! 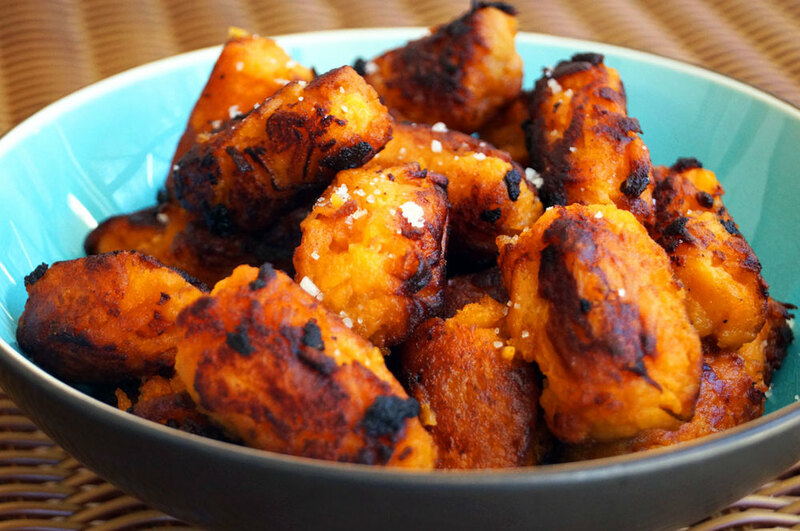 The third recipe that I tried was the sweet potato tater tots, and you guys are so lucky because I got permission to share this recipe with you today! These tots are autoimmune paleo and so crazy simple to cook. Ciarra figured out a way to make the sweet potato act as its own binder. Yeah, that's right. No eggs or gelatin needed here to get them to hold together! I made a batch of these and fried them up in lard I rendered from the aforementioned pig from my neighbor. Oh. My. WORD. They were so good. I highly recommend using lard if you have it! 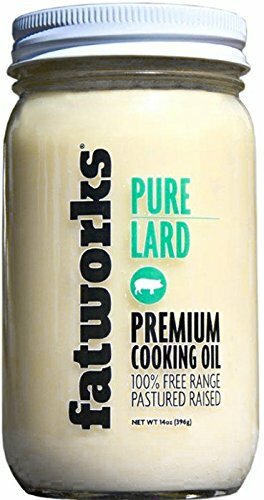 If you don't have time to render your own or access to local pastured pig fat, luckily you can order rendered lard from pastured pigs from Fatworks. 10 Paleo Diet Myth Busters! Special offers to SEVEN Paleo brands and services like Barefoot Provisions, Fat Face Skincare, PrimalPal (the best online meal planning service), Tx Bar Organics, Pure Indian Foods, Exo Protein Bars and WholeMe. It's always so neat to get free stuff! I've read though the exclusive reports that Ciarra wrote and I just want to say they are full of invaluable, helpful information! 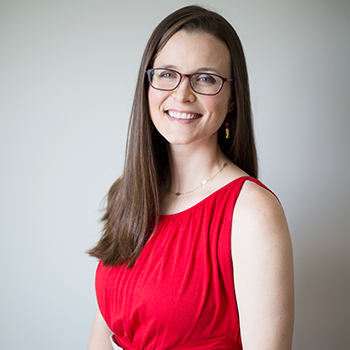 I love the 10 busted myths and I think they help arm you for arguments that friends and family not on board with the paleo lifestyle might try to start with you when you talk about adopting this lifestyle. Alright, let's get to the recipe! I'm so excited to share this one with you! From the cookbook: "I'd like to say that I came up with these sweet potato tater tots for my kids, but we all know the truth. Adults love these just as much as kids do! Tater tots are an irresistible crunch side dish, which can actually be made Paleo-friendly thanks to a couple of sweet potatoes--not yams--and some good-quality oil for frying. Preheat the oven to 400F (204C). Wash the sweet potatoes and poke a few times with a fork. Place the sweet potatoes on a baking sheet lined with parchment paper and bake for 35 to 40 minutes. Carefully remove from the oven and set aside to cool to room temperature. This will take a few hours, so plan ahead. When the potatoes are cool enough to handle, remove the skin. It should easily slide off when you drag the back of a butter knife across it. Discard the peels. 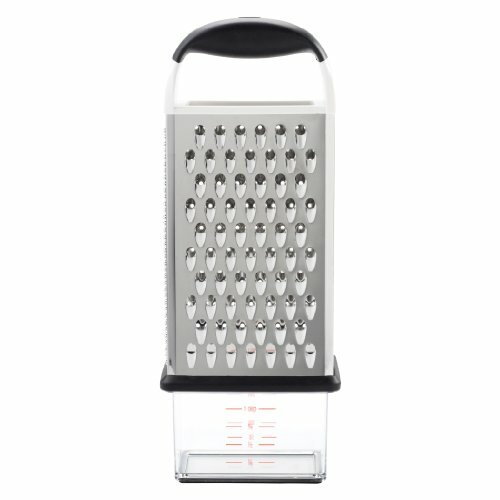 Using a box grater, shred the sweet potatoes. The potatoes should be somewhat sticky from having the intrinsic sugars activated from the baking. In fact, it’s the natural sugars from the sweet potatoes that act as the binder for the tot. Use a tablespoon or something comparable to scoop out spoonfuls of shredded potato. Working one at a time, roll the potatoes back and forth in the palm of your hand a few times, then squish the ends flat to create the classic tater tot shape. Continue working until all the potato is used up. Now move to frying the newly formed tots. I like to use an 8-inch (20-cm) cast-iron skillet because it is narrow with high-sides. This means less oil is needed, which saves money. There is some flexibility between which Paleo-friendly oil to select, but in general animal-based fats will yield a better flavor, so my vote is for lard from pastured pigs or duck fat. In the event you don’t have these on hand, avocado oil works great—as does coconut oil. Avoid oils with low smoke points like olive or bacon drippings. They won’t fry properly. Melt or heat your chosen fat in a small, high-sided pan at just shy of high heat. Don’t max out your dial, but get it pretty close. When the oil is hot, fry 5 or 6 tots at a time, working in batches. Frying only a few at a time will keep the oil temperature stable. This means the tots will have a crispy outside and a creamy inside. Each side only requires about a minute or so to brown, so keep a close eye on the tots and always be ready to turn and/or remove them. The end caps don’t generally need frying since the oil level is likely high enough to brown the edges. Once the Tater Tots are golden brown, remove them from the oil and transfer to a surface lined with paper towels to drain. Repeat until all of the tots are cooked. 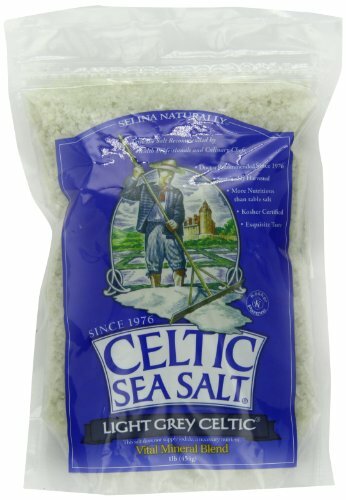 Season with salt (I like coarse-grain Celtic sea salt on these) and maybe a sprinkling of House Seasoning (from page 187 of the book) for an extra kick. Serve with your favorite Paleo dipping sauce or use these to make Paleo Hotdish (on page 48 of the book)—more commonly known as Tater Tot Casserole. These are the very tools and ingredients that I use in my own kitchen at home and can recommend to you as being great options for your own kitchen. I never link to any product that I don't stand behind 100%! Kuku sabzi is an herb-packed frittata that is traditionally eaten to welcome the arrival of spring in Iran. This version adds some cruciferous leafy greens to maximize the nutrient density. You can easily adapt this recipe to suit your tastes and experiment with using different herbs and different greens. Plus it is perfect for Paleo, Whole30, or low-carb eaters! Facial gua sha is an ancient practice with both health and cosmetic benefits. Learn how to get started with a daily practice and more about the science behind this technique! 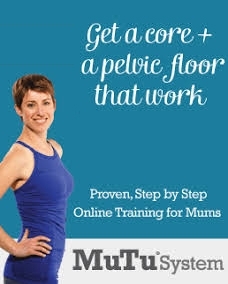 Full length video tutorial included. Men deserve safer skincare products, too, and having a regular skincare routine can result in some major benefits for men’s skin. Finally my husband Andy has a complete regimen to address oily skin, acne, and fine lines. Read his honest review of Counterman + learn why it is critically important to avoid parabens and phthalates in skincare products. Bulgogi is one of the most famous Korean BBQ dishes, and now you can make it at home with gluten-free, soy-free, Paleo ingredients. The marinade has a secret ingredient for the perfect naturally sweet + salty combo that you’ll crave! This rich and creamy garlic cilantro dip is the perfect appetizer that will suit so many different dietary requirements: Paleo, dairy-free, vegan, low-carb. It's versatile, easy to whip up in just 5 minutes, and full of bold flavor! Grass-fed collagen, safe skincare and makeup, Instant Pot, my cookbook, and so much more! My top picks for 2018. Zinc lozenges and gua sha are my first line of defense against cold and flu viruses. Learn more about the science behind these tools and the rest of my comprehensive anti-crud protocol. This creamy, delicious soup is the perfect way to actually enjoy eating your veggies. Even the pickiest of eaters will ask for seconds! Countercontrol is the acne treatment option I chose for my husband because it uses safe, gentle, effective salicylic acid plus many beneficial botanicals to soothe the skin. Newer PostPaleo Black Friday/Cyber Monday Specials!